With quiet drama, Petterson tells the story of two young teenagers: Tommy and Jim. As Tommy confronts the realities of life after his mother leaves him, and later being separated from his siblings, Jim acts as his anchor. Despite their different backgrounds, they develop a friendship which is deeply sincere. However, as the two grow up together Jim's struggles with mental illness causes a separation which the pair may never come back from. 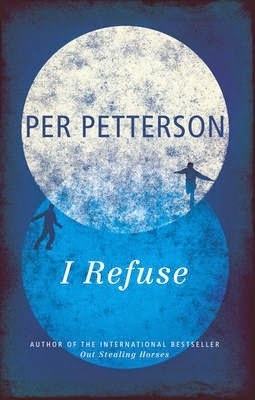 A novel which might be described as a slow starter, Petterson's characters soon work their way into the reader's imagination. His story becomes one with far-reaching themes and he manages to capture something of the universal struggle to finding meaning in existence. As adults, Tommy and Jim have new battles as they fail repeatedly to connect with others; one living out a successful, albeit hollow life, and the other barely able to function in the real world. Stylistically unique, this is a serious story and one which is extremely sad. It's about the ways human beings fail each other despite their best efforts, and those small moments in life that can prove transformative. Petterson is a talent to be reckoned with.